Literally! 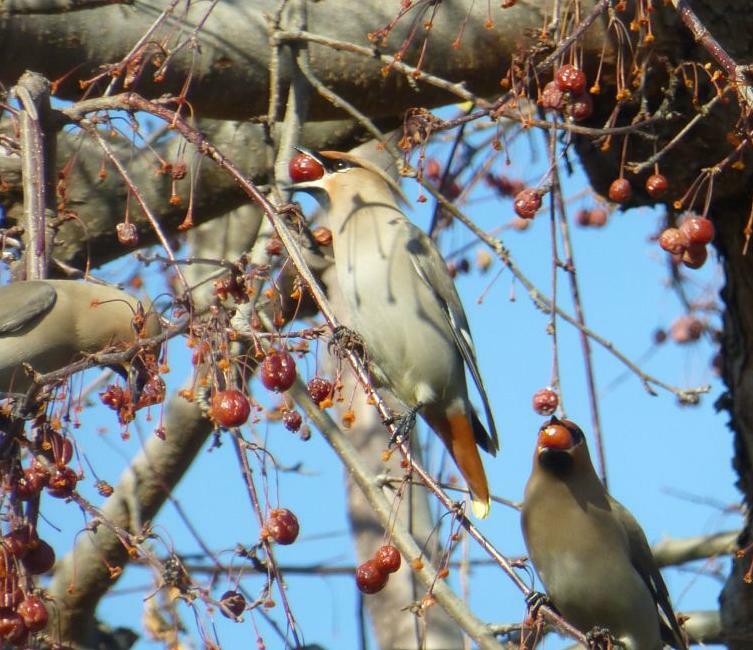 They flew out of the neighbour’s locust tree in a whirr of wings, perched in the flowering crabapple tree across the road, and started stuffing themselves with apples. No sooner than they got one down, than they jumped a bit to settle it and downed another and another and another. Here are three of them, caught in the act. That’s How to Do it, Folks! Let the apples soften with winter frost, ferment in the spring sun, and when they’re just right, down the hatch! I think the first guys got all the ones that were easy to reach. 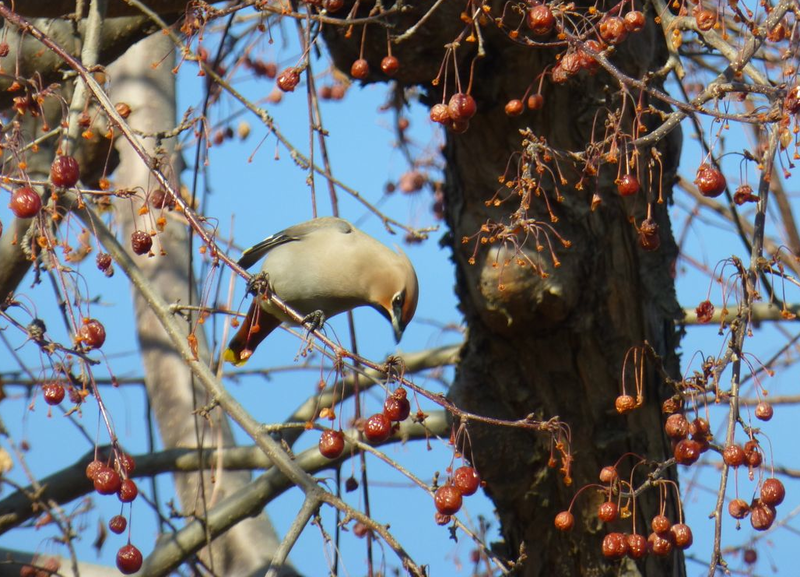 Flowers for humans and bees, and apples for the birds in the spring…. I like that kind of gardening. Next: a story about the botanical gardens of the grassland hills, that stretches back to the beginning of time.